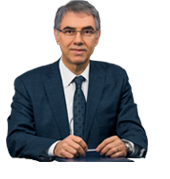 Upon retirement of Deputy Governor Mr. Hüseyin DEMİRCİLER, Deputy Governor Mr. Ahmet Ali BARIŞ has been assigned as the permanent member of İZBAŞ Entrepreneur Committee. Deputy Governor Mr. Ahmet Ali BARIŞ has visited our Zone and attended the Board meeting. During the meeting, Mr. Ahmet Ali BARIŞ is informed about the history, development, investments and objectives of the Zone.